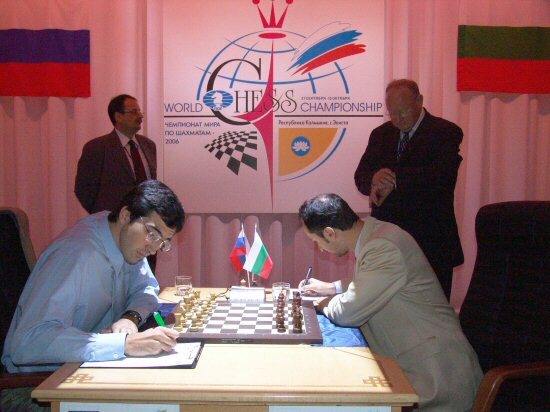 09.26.06 Topalov has managed to stem the flood of two consecutive losses with a 38-move draw in Game 3. 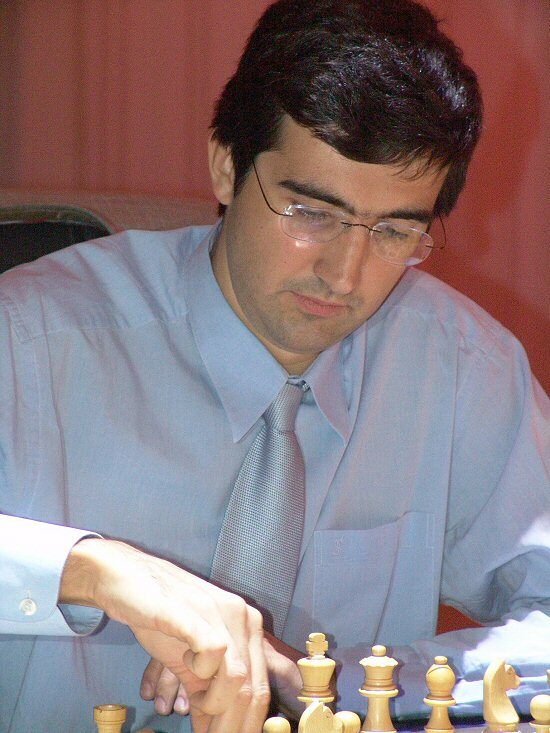 For Kramnik's second go around with the white pieces, he again got into an Open Catalan. Topalov was the first to vary from Game 1 with 5. ...Nc6. 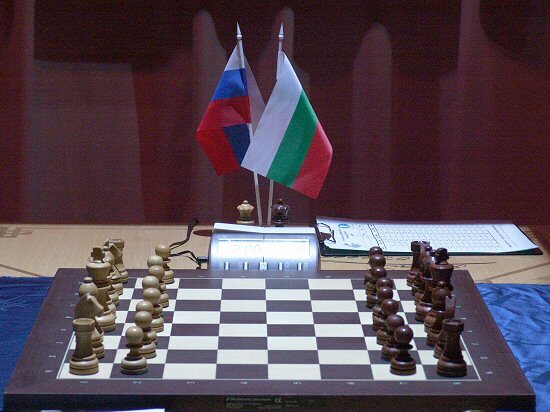 It's still very early in the match and there is lots of chess yet to come--Game 4 begins tomorrow at 7:00 a.m. Eastern--watch it here! LIVE Game Link. Watch Game 4 on Wednesday, September 27 at 7:00 a.m. Eastern. See full match schedule below. 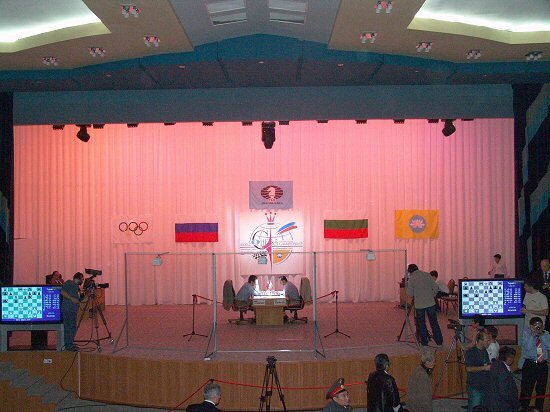 Game 3 of the World Chess Championship Match begins. The players preparing to do battle while Chief Arbiter Geurt Gijssen checks the official game time.